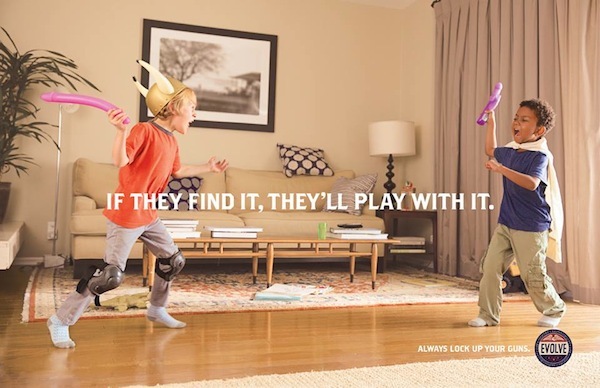 A year after the campaign “Lock up your guns” the organization of security of firearms, Evolve continues its commitment and distilled once more again its slogan “If they find it, they’ll play with it”. 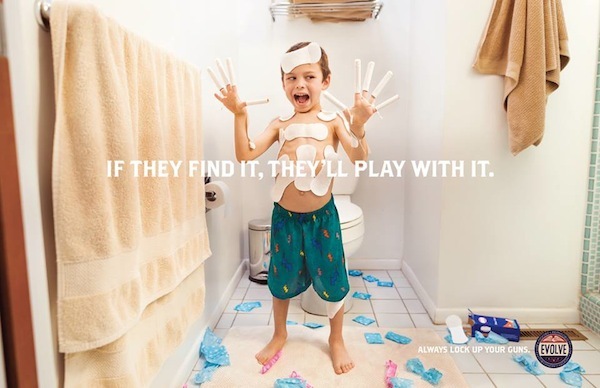 The agency McCann NY has produced four print ads. Each print depicts children playing with condoms and wondered what it would cause if condoms were weapons.